Hope you are all having a great day. Just wanted to share some important information on floor matting with you today. Floor matting is important for every building owner and manager, especially in MN. It is for improved safety, health and building maintenance. – Call us and we can help consult you with your matting system. 763 241-4853 Planning, Buying and Cleaning. -Look online and check out some of the resources. There are many options. 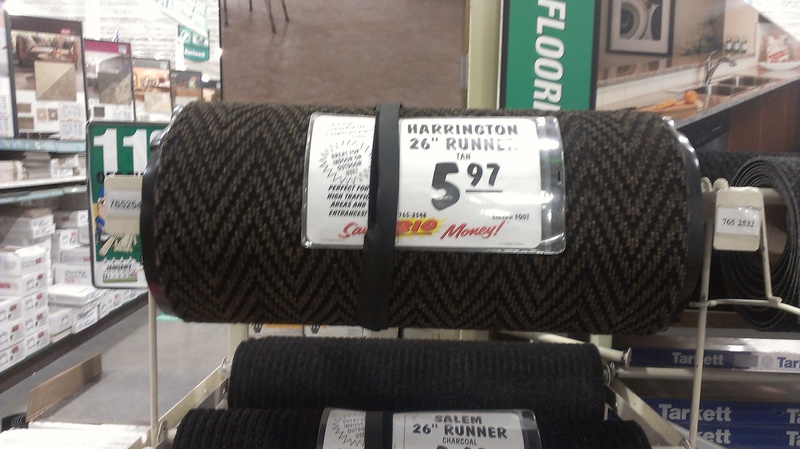 -Menards – Great deals on cut your own mats. I have a picture on that. I buy these mats for my house, office and some customers. So far they have been very reliable. We love these floor mats at Menards. These are a nice for building owners and manager who want more matting in their building and would like an improved air quality. Give us a call if there is anything we can help you with. Thank you for everything. We really appreciate it. Carter Cleaning Company is a family owned and operated cleaning business in Elk River, MN. Our ideal team member is a honest, confident, responsible person with a positive attitude. Pay up to $16 per hour starting plus company vehicle or mileage reimbursement, all supplies and equipment, bonuses plus much more. Duties are as follows: general office maintenance, including, but not limited to: trash removal; dusting; cleaning and re-stocking supplies in restrooms, break rooms, coffee centers; placing orders for supplies in janitor supply rooms; sweeping and mopping floors; vacuuming; window washing; replacing light bulbs; buffing floors; stripping and waxing floors; carpet cleaning; other duties as assigned. Check us out at http://www.cartercleaning.biz and fill out an application at www.cartercleaning.biz/Job-Application or call 763 241-4853. If you would like to receive job postings please fill out the form below.